Balustrade Glasses are raging their popularity due to their versatile nature. This multifaceted object has many added benefits, and you can use it in every corner of the house. While installing the balustrade Glass, safety is the primary concern of the constructors. It needs several checking before the final installation. These glasses can get customised according to the requirement of a specific place. Commercial pools have also found its place to use these durable glasses. This piece of object has found a way to the homes and into the corporate sector as well. Business class buildings are also incorporating the Balustrade Glasses into their corporate office décor. So, let’s check out its reason for being so popular. ● Balustrade glass adds a different look to the beauty of the building altogether. Be it a high rise corporate office or a building at the corner of a neighbourhood. Incorporating this glass adds into the beauty of the architecture. The balustrade glass adds in a touch of sophistication graced with elegance. Such a combination is a rarity. The glass plays with the light when fitted in the correct angles. It gives an illusion of shimmering lights during a particular point of the day. ● The transparency of the glass makes it friendly to the lights. The glass welcomes the light instead of creating a blockage. The whole place illuminates up and does not block the view. The glass does not block any view; the entire view from a balcony is splendid. ● The easy maintenance factor is a bonus. Cleaning the Balustrade is not a tedious job as it features glass. Even dealing with scratches is nothing to worry about. Polishing the glass will return it to its original beauty. ● As it is see through it gives the illusion of a larger space. Be it in a balcony or the staircase; the area looks larger with balustrade glasses. ● This glass can be easily incorporated with other material and designed accordingly. 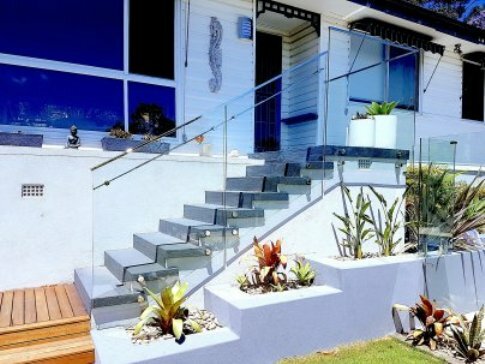 This complementing nature of the balustrade Glass makes it more welcoming in every sector. ● The glass is the most durable as compared to other materials. Even wood is vulnerable to pest infestation and resulting in corrosion in a few years. The balustrade Glass is thick, tempered and durable. ● Installation of the Glass balustrade doesn't take the whole day. It involves a very easy process, unlike in the case of other materials. So, this is time-saving. ● With the advancement of technology, the glass is no longer the dainty, delicate piece. The glass is next to unbreakable. Even if the glass ever breaks the pieces are not razor sharp as in conventional glasses. Thus it makes it safe to be near children. ● Lastly, the Balustrade glass is eco-friendly and chemically inert. If you plan to install these super powerful glasses then Avant-Grade Glass Sydney is a great option. The points mentioned above are just a few advantages of using glass installation. You can easily incorporate it in your house or office.